FWD Group has completed the purchase of HSBC Insurance's 49% stake in HSBC Amanah Takaful (Malaysia) Bhd. As a result, FWD is now the largest shareholder in the Islamic insurance joint venture, which will be renamed as FWD Takaful Bhd, a statement from the Hong Kong-headquartered insurer said. FWD Group has appointed Salim Majid Zain as chief executive officer (CEO) of the Malaysian firm, which has been renamed FWD Takaful. Mr. Salim was previously CEO of Zurich Takaful Malaysia, the Islamic insurance arm of Zurich Malaysia. The deal was first announced last December. FWD Group acquired the stake from HSBC Insurance (Asia Pacific) Holdings, a wholly-owned subsidiary of HSBC Holdings. We see huge potential for growth in Malaysia and I am excited to work together with our new team in Malaysia to grow our business and footprint through long-term investment and implementation of our customer-led strategy"
FWD is part of the Pacific Century Group, which is chaired by Richard Li, son of Hong Kong's richest man Li Ka-shing. The insurer is currently active in Hong Kong and Macau, Indonesia, Japan, Malaysia, the Philippines, Singapore, Thailand, and Vietnam. According to FWD Group CEO Huynh Thanh Phong, Malaysia "represents another landmark market entry and strategic milestone in our journey". "We see huge potential for growth in Malaysia and I am excited to work together with our new team in Malaysia to grow our business and footprint through long-term investment and implementation of our customer-led strategy," Huynh said in a statement. Zain added there are significant opportunities within the takaful, or Islamic insurance,sector in Malaysia for the Hong Kong company. "I am really excited to be joining FWD Takaful and look forward to leading this exciting new chapter in Malaysia," he says in a separate statement which announced his appointment. This transaction relates only to a change in ownership of HATB and does not have any impact on HSBC Group's current businesses in Malaysia, comprising HSBC Bank Malaysia Bhd and HSBC Amanah Malaysia Bhd. Malaysia also remains a key insurance distribution market for HSBC and it will continue to support the insurance needs of its customers through its insurance partners. In a release, HSBC said that Malaysia is one of eight scale markets for the HSBC Group. "HSBC remains highly committed to Malaysia and to retaining its position as a leading international financial institution in the country. 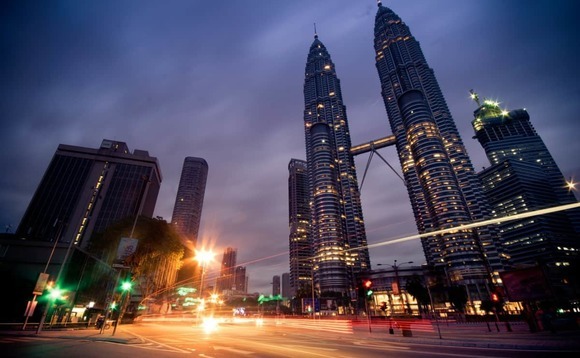 "HSBC has already committed to investing $250m to construct its new Malaysian headquarters in the new financial hub of TRX City," said HSBC in the release. FWD Group had over $26.6bn of assets and 2.7 million customers at the end of 2018.